This entry was posted in News Releases on August 31, 2017 by editor. A work session of the Fruitport Charter Township Board began at 6:30pm on Monday, August 14, 2017, in the township board room. 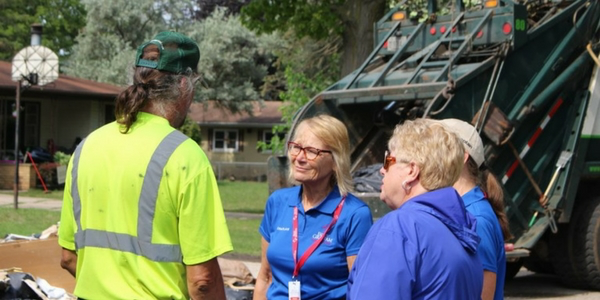 Also Present: 6– residents; 0 – employees; 3- guests; Director of Public Safety, Brian Michelli; Director of Public Utilities, Ron Langlois; and Muskegon County Commissioner, Marvin Engle. The motion by Rose Dillon, supported by Denise Winebarger, was carried unanimously, to approve the minutes of July 24, 2017 as presented. The motion by Rose Dillon, supported by Greg Hulka, was carried unanimously, to approve the agenda as presented. 1. Brian Michelli presented the problem of having a police officer off the road due to an injury and being short staffed with part-time officers. Suggestions on how to attract and retain part-time officers were discussed. 2. Ron Langlois reported that the Broadway lift station refurbishing is complete. Restoration of the grounds will be complete soon. 3. Ron Langlois gave an update on the Odeno project: the wet well vault is set and sanitary sewer is being installed. 4. Ron Langlois reported that the Vandenberg and Summit road paving is done, shoulder work continues. 5. Ron Langlois reported that surface prep is underway for both the Ihop and Wesco development locations. 7. Heidi shared that the township will be receiving the gift of a Wolverine sculpture that is being donated by Douglas Radcliffe North. It is slated to be placed on the Fire Department lawn near the flag pole. The Township Board made a recommendation to adopt the Rental Registration Restatement Ordinance that will update the current ordinance requiring rental units be registered and maintain a certificate of compliance in the Charter Township of Fruitport. This constitutes the first reading. Final action will take place at the next regular meeting scheduled on August 28, 2017. Motion by Ron Becklin, supported by Greg Hulka, was carried unanimously, to TABLE the topic of DDA until the August 28th meeting. 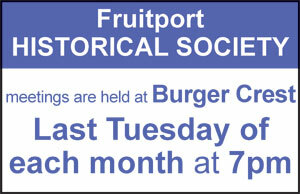 At that time the township attorney and a presenter will be present to answer questions on the topic. Heidi Tice requested that this topic be TABLED until information is collected. Presentation was given by Michael Vanallsburg from Troop 1127. He proposes to build an honor garden consisting of an 8’x10’ oval raised flower garden in April 2018. The purpose of the garden would be to honor firefighters and police officers. Michael plans to work with local businesses to fund the approximately $2,000 needed to complete the project. He will return to weed and maintain the garden for 5 years. Approval for the project will come before the board at the August 28, 2017 meeting. Zachary Anderson, Jason Colella, and County Commissioner Marvin Engle were present to speak and answer questions regarding Muskegon County’s proposed “Youth, Family, & Community” millage. Rose Dillon announced that a member of the library board has resigned, creating a vacancy on the board. Letters of interest from Fruitport Township residents should be received by Rose Dillon no later than September 14, 2017. Wesco is proposing to have an aggregate processing operation on the site of the Wesco project. Discussion amongst the board lead to questions regarding the time frame, hours of operation, number of loads in and out, trucking routes, and control of dust and contaminants. Heidi Tice will discuss further with the Planning Commission before the operation is approved. No further changes were requested. Approval will come before the board August 28, 2017. 2. Heidi Tice shared that the township will be hosting another slip ‘n slide event in Pomona Park on Saturday, August 19, 2017. Lunch and great family fun will be provided. The motion by Ron Becklin, supported by Greg Hulka was carried unanimously, to adjourn the meeting at 8:28pm. This entry was posted in Fruitport Township on August 29, 2017 by editor. Breakfast includes pancakes, sausage, coffee & juice. Visually Impaired programs & services. This entry was posted in Calendar of Events on August 29, 2017 by editor. Muskegon South Pierhead Light, 1431 Beach St. The Michigan Lighthouse Conservancy is offering tours of the Muskegon South Pierhead Light Mondays, Thursdays, Fridays and Saturdays in August from 1:00-5:00pm. The cost is $2 – $4. For more information, call 844-MLIGHTS or visit www.muskegonlights.org. The museum ships Nina & Pinta return to the Port of Muskegon’s Heritage Landing Dock August 25- 29, with tours conducted from 9:00am to 6:00pm each day. They will leave port Wednesday at dawn. Come to Hackley Library to see the movie “The Walk” featuring tightrope walker Philippe Petit as he crosses back and forth between the Twin Towers in 1974. Petit works to accomplish this feat while dealing with logistical problems and the concern of his loved ones. Bring your own snacks and non- alcoholic drinks. The movie runs 123 minutes. For more information, call 231-722-8000. P.J. Hoffmaster State Park, 6585 Lake Harbor Rd. Serene Yoga will be offering a new Summer Beach Yoga Series through August 31. Classes will be held Tuesdays and Thursday mornings from 10:00am – 11:00am and Friday evenings from 7:00pm – 8:00pm. $10 drop-in rate. Join Diana and enjoy the serenity of the Great Lakes as she guides you stretching and balancing poses while focusing on breath-work and relaxation. This is a mind, body, spirit experience for the whole family. This class is a biblical based perspective. Meet at the beach. Participants should bring a towel, sheet or yoga mat. All new participants will be asked to fill out liability forms (please come early on your first visit). Children under 17 need to be accompanied by a parent or guardian. Check with your doctor if you have any concerns prior to taking this class. For more information please contact Sereneyoga10@gmail.com or call 231-343-8381 (text for cancellation information). Cruise-Ins at Fricano Place are back every Wednesday (weather permitting) from 5:00- 8:30pm. Antiques, customs, classics and novelty vehicles are all welcome. Enjoy oldies music and door prizes, too! Come on down and check out some unique cars and enjoy some Fricano’s pizza and Sweet Treats from Fricano’s Sweet Shoppe! For more information, call 231-722-7775. Every Thursday from 4:00 – 8:00pm, admission is free at the Muskegon Museum of Art! One of the most highly respected art museums in the Midwest, the marbled halls of the MMA offer a full schedule of permanent collection displays, traveling exhibits and a lovely museum gift shop. The exhibition will run May 11 through September 10, 2017. For more information, call 231-720-2570. Muskegon Polish Festival will take place over Labor Day weekend at historic Hackley Park in Downtown Muskegon! Enjoy Polish food, polka music, dancing, cultural activities, children’s area, a Catholic mass, and much more. People of all ethnicities are invited for an authentic Polish experience and a unique venue in the heart of Muskegon. For more information, e-mail polka@muskegonpolishfest.com or visit the website. Join Maranatha for a summer concert by David Pendleton! All concerts are free and open to the public. For more information visit www.vacationwithpurpose.org or call (231) 798-2161. Make Pancakes on the Beach part of your Labor Day weekend celebration! The Muskegon Lions are cooking up all the pancakes you can eat, as well as sausage, coffee and juice at beautiful Margaret Drake Elliott Park at Pere Marquette Beach on Lake Michigan. The cost is only $7 for adults and $3 for children (under 12). Proceeds benefit the Association for the Blind & Visually Impaired programs and services. 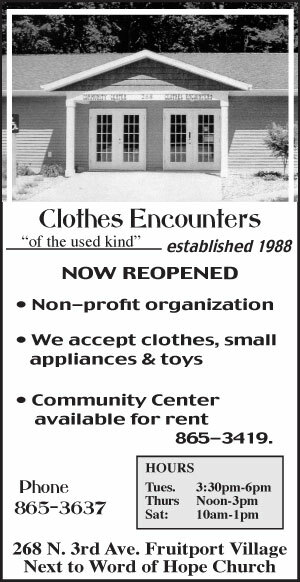 For more information, call 231-744-1904. Discover the beauty of the White Lake area! Local naturalists will lead guided tours of local natural areas and cover a variety of topics relating to native plants and wildlife. The walks are appropriate for adults and begin at 10:30am sharp and last until approximately noon. Dress appropriately for the weather and wear comfortable shoes. Bring water and snacks if needed. Other optional items include: sunscreen, hat, umbrella, binoculars, sketchpad, and pencils or pens. Walks will take place regardless of weather, unless conditions are unsafe. Please call 231-893-4585 to confirm or if you have questions. No children allowed without parents. USS LST 393 Veterans Museum, 560 Mart St.
Sundays from 7:00pm – 8:00pm, join Rootdown Yoga at the USS LST 393 Veterans Museum for “Yoga on Deck!” This popular, donation based yoga class is designed for all levels, so grab your family, friends, yoga mat and water and come join them for this popular event. No mat? No problem! You can rent one. Suggested donations are $5, and proceeds benefit: McLaughlin Grows Urban Farm, 1 in 21 – Healthy Muskegon County, Kids’ Food Basket, and the USS LST 393 Veterans Museum. Please check their Facebook page prior to the event in case of weather resulting in cancellation or class relocation. For more information, call (231) 722-9642. Come to the Mercy Health Lakes Village Sunday & Monday for the 13th Annual Cars for Cancer Labor Day Car Show & Cruise! There’ll be 40 classes of classic automobiles with 3 trophies per class as well as Best of Show, People’s Choice and Young Guns Class for those 21 and under For more information, find them on Facebook. The White Lake Area Chamber of Commerce, Harborlight Credit Union, and the cities of Montague and Whitehall prepare to host their 11th Annual Labor Day Community Walk! The walk takes place on the Hart/Montague Bike Trail and will begin at the east end of Spring St. located behind Whitehall Products and Montague Foods in Montague. Walkers are more than welcome to continue on the path or may turn around and return to the start point. Healthy refreshments will be available at the Chamber Depot. 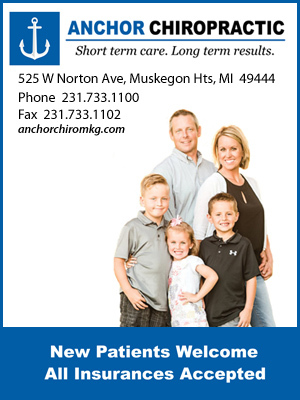 For more information, call (231) 893-4585. This entry was posted in News Releases on August 29, 2017 by editor. Crisis-trained chaplains with the Billy Graham Rapid Response Team have wrapped up two major deployments in which they had the opportunity to minister to the emotional and spiritual needs of hurting people in the U.S. and abroad. In late April, a devastating tornado struck the small town of Durant, Miss., damaging hundreds of homes. The Billy Graham Rapid Response Team sent chaplains into the area alongside Samaritan’s Purse and together they helped the community – which sits about 60 miles north of Jackson, Miss. – as they began to recover. Over the course of nearly seven weeks, a total of 28 chaplains from around the country rotated into the area, praying with and comforting some 1,785 people. Across the Atlantic, a horrifying scene played out on June 14 as London’s Grenfell Tower apartment building was consumed by a widespread and fast-moving fire. At least 79 people lost their lives in the blaze. Chaplains came alongside a local church to share the hope of Jesus in the midst of the deep pain and mourning. They ministered to hundreds and prayed with 340 people, including many who lost loved ones and friends. It was the third time in as many weeks that the Billy Graham Rapid Response Team deployed chaplains in the United Kingdom. 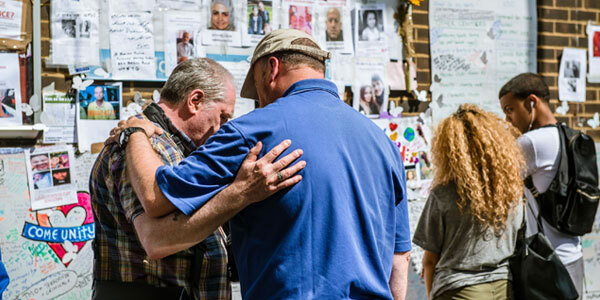 The group provided emotional and spiritual care to survivors and mourners following the Manchester Arena bombing on May 22, and the June 3 attack on London Bridge and the Borough Market. Chaplains with the ministry also responded to London following the terror attack in March. This entry was posted in Billy Graham on August 27, 2017 by editor. –Rhemi, 12, St. Louis, Mo. This entry was posted in Dr. Universe on August 26, 2017 by editor. August 21, 2017 7:00 p.m. Item 17-102. MOTION by Brott, SECOND by Buckner to approve the agenda as presented. Kristin Kittel addressed the Board regarding concerns with the middle school assist principal. Judy Knooihuizen expressed her concerns with the middle school and transportation. Bob Szymoniak invited the Board to Staff Orientation on Monday, August 28th beginning at 8:00 a.m. He also mentioned Meet, Greet, and Find Your Seat on Tuesday, August 29th from 4:00 – 6:30 p.m. Bob commended the grounds crew for having our district looking its best. Item 17-103. MOTION by Cole, SECOND by Franklin to approve the Consent Agenda as presented. 1. Second and Final Reading of New and Updated Board Policies. Item 17-104. MOTION by Brott, SECOND by Kelly to approve the second and final reading of Board Policies: 168.1, 2221, 2461, 2623, 3120.04, 3121, 4121, 5111.01, 5111.03, 5610, 5610.01, 7540.02, 8305, 8330, 8340, 8400, 8500, 8510. 1. Report of committee meeting held August 16, 2017. Elroy Buckner reported on a Business and Finance Committee meeting held August 16, 2017. Dave Hazekamp, Elroy Buckner, Kris Cole, Mark Mesbergen, and Bob Szymoniak were present. The committee discussed: the Financial Plan for the Future and Board Policy Updates. 1. Report of committee meeting held August 16, 2017. Steve Kelly reported on a Personnel Committee meeting held August 16, 2017. Dave Hazekamp, Steve Kelly, Tim Burgess, and Bob Szymoniak were present. The committee discussed: ECC Pay Raises, Restructuring Central/Business Office, Board Policy Updates, the Operations Director Vacancy, FEA Negotiations and Fruitport Township’s proposed Downtown Development Authority. 2. Approval of Pay Increase for ECC Staff. Item 17-105. MOTION by Brott, SECOND by Franklin to approve a pay increase of 35¢ per hour for all ECC staff effective October 2, 2017. 3. Approval of Central Office Administrative Support. Item 17-106. MOTION by Brott, SECOND by Burgess to approve the Central Office Administrative Support position and Central/Business Office restructuring. Through reassignment of responsibilities within Central/Business Offices many HR responsibilities can be consolidated into one position while also providing clerical support to the Curriculum Director, and function as the central registrar to help with schools of choice issues. Jill Brott reported on a Student Affairs Committee meeting held August 16, 2017. Jill Brott, Dave Hazekamp, Susan Franklin, Allison Camp, and Bob Szymoniak were present. The committee discussed: Restructuring Central/Business Office staff, the High School Handbook, Changes to Adult Education Graduation Requirements, Policy Updates and the Strategic Plan. 2. Approval of the High School Handbook. Item 17-107. MOTION by Brott, SECOND by Franklin to approve the high school yearbook as presented. 3. Approval of Changes to Adult Ed Graduation Requirements. Item 17-108. MOTION by Brott, SECOND by Franklin to approve the changes to Adult Education graduation requirements as presented to comply with the Michigan Merit Curriculum. Jill Brott informed the Board of a fall MASB Conference and encouraged board members to attend. Bob Szymoniak reported that Tina VanderWall was hired to be the Fruitport Education Foundation director. He also stated the foundation would be supporting our STEM programs. Steve Kelly mentioned the 5th Quarter Party fundraiser will be October 21st. He invited all to attend. Steve also commented on Blue and White Night. He said it was a huge success and thought the students enjoyed “dunking” Mr. Rogers in the dunk tank. Kris Cole spoke about the Robotics program. Dave Hazekamp invited all to attend the Fruitport Athletic Foundation’s first annual golf outing at Terre Verde, September 16th. Tim Burgess stated there will be a need to build a big trophy room in the new high school as the volleyball team brought back “hardware” from a recent tournament. 2. Personnel Committee will meet September 12, 2017 at 7:30 a.m.
3. Student Affairs Committee will meet September 11, 2017 at 4:00 p.m.
4. Board Workshop has been scheduled for September 25, 2017 at 5:30 p.m. This entry was posted in Fruitport Schools on August 24, 2017 by editor. 1. A discussion was held concerning the proposed restructuring of central/business office staff so that there is a dedicated human resources presence in the district along with a central registrar to help with summer enrollment and schools of choice. 2. The Fruitport High School Student Handbook was reviewed and will be placed on the Board agenda for approval. 3. Changes to Adult Education graduation requirements for pupils were discussed. This has gone through two readings at Instructional Council. It will be on the Board agenda for approval. 4. Updates to Board policy that related to the Student Affairs Committee were discussed. These policies will be on the Board agenda for a second reading. 5. The strategic plan, FCS III was discussed as it is at the end of its lifespan. This matter will be taken up again at an upcoming workshop yet to be scheduled. 1. A raise of $0.35 was discussed for Early Childhood Center (ECC) minimum wage employees effective January, 2018 and a raise of $0.35 for all remaining ECC employees effective October 2, 2018 were recommended to the full Board for action. 2. An update was given on the scope of posting for the Operations Director position. The posting will close by the first of September. 3. A restructuring of Central/Business Office was discussed that would create a more dedicated human resource presence within our district. More on this as it develops. 4. Board policy updates pertaining to the Personnel Committee were reviewed. 5. It was noted that contract negotiations with the FEA would begin next week for the 2017/18 school year. 6. 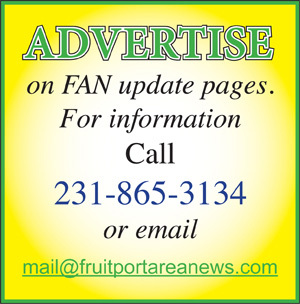 Fruitport Township’s proposed Downtown Development Authority was briefly discussed. Meeting adjourned at 7:51 a.m.
Bob and Mark discussed the financial plan for the future. Mark explained the policy update that is in regards to the committee. A work session of the Fruitport Charter Township Board began at 6:30pm on Monday, July 24, 2017, in the township board room. Also Present: 4– residents, 0 – employees, 0- guests, Director of Public Safety, Brian Michelli, Director of Public Utilities, Ron Langlois, and Attorney Ron Bultje. The motion by Rose Dillon, supported by Jeff Jacobs, was carried unanimously, to approve the minutes of July 10, 2017 as presented. Addition of Emergency Services agreement as item 8-B. 1) Michigan Townships Association legislative updates of July 14, 2017. 3) Ron Langlois reported that a DPW truck was sold today. 4) Ron Langlois reported that the DPW has been approved for a rebate on the LED lighting that was placed in the DPW shop. The project to transfer the lighting to LED is almost complete. 5) Ron Langlois reported that the Broadway lift station refurbishing is almost complete and is due to be back in service on July 27, 2017. 6) Brian Michelli reported that the new fire hoses and boots have arrived. 7) Brian Michelli reported that the community slip ‘n slide event was very successful and will possibly be repeated in August. 8) Heidi Tice reported that she attended the Training Wheels bike event that focused on the planning and design of community bike paths. 9) Andrea Anderson reported that a very generous donation to the large flag fund came in from the Fruitport Conservation Club with which we are able to purchase 2 new 20’ x 38’ flags. Thank you FCC! Jeff Jacobs moved, supported by Rose Dillon, MOTION CARRIED, to hire Police Officer, Ross DeYoung, into a full- time position. Mr. DeYoung started working as a part-time Police Officer for Fruitport Township Police Department on July 27, 2013. In an interview process that took place on July 20, 2017, Ross scored #1 out of 3 candidates. Ross will be filling the vacancy created by the resignation of Rick McCabe. Ross will begin working on July 25, 2017. It was also noted by Brian Michelli that he has received multiple compliments regarding Mr. DeYoung’s conduct in the community in the past. The board reviewed a proposed Rental Unit Registration Restatement Ordinance provided by Attorney Ron Bultje. It was requested that it be amended by Mr. Bultje to include any rental unit, incorporating single family dwellings into the ordinance. A first reading of the proposed ordinance will take place at the next meeting, August 14, 2017. The rental registration fee will be the $10.00 that the state allows for. There will be a non-compliance fee of $50.00 for the first offence and $250.00 for the second offence in accordance with our ordinance infraction fee schedule. Ron Becklin moved, supported by Rose Dillon, MOTION CARRIED, to table this item until the next meeting on August 14, 2017. During the discussion it was noted that a DDA can be dissolved at any time. Also, that the tax dollars are not to be captured until the DDA is formed AND the plan is developed. Example provided by Public Safety Director, Brian Michelli: Walmart is less than 1% of the area of the township, but produces 19% of the Police Department’s call volume, putting a cost to the township of approximately $234,000.00. The motion by Denise Winebarger, supported by Ron Becklin, was carried unanimously, to TABLE this topic for further research and discussion at the next meeting on August 14, 2017. The township received 5 nominations for the 2017 Best Yard in Fruitport contest. The beautiful yards are located at 1812 David, 326 8th Ave, 2549 Shettler, 1901 Pontaluna, and 6788 Beech Creek. By majority vote, 326 8th Ave received the Best Yard win! They will receive a yard sign to announce their Best Yard win. Thank you to all who participated, we enjoyed viewing all of your hard work! Rose Dillon moved, supported by Ron Becklin, MOTION CARRIED, to begin an agreement with Emergency Services as of August 1, 2017 with the addition to the agreement to allow the township to terminate the agreement with a 30 day written notice. 1) Rose Dillon presented the board with first quarter financial reports. 1) Jay Bolt of 294 8th Ave stood to address the board stating that he wishes for his comments and questions to be taken in a positive light. He inquired about how many other municipalities have a rental registration ordinance: the answer to which is that it is very common and Fruitport is one of the few who do not enforce such an ordinance. He also asked what the benefits are to a DDA. The motion by Ron Becklin, supported by Denise Winebarger was carried unanimously, to adjourn the meeting at 8:40pm. This entry was posted in Fruitport Township on August 24, 2017 by editor. Come to Hackley Public Library for live music from the Mark Kahny Trio, consisting of Mark Kahny on keyboard, Mary Rademacher on vocals and rhythm instruments, and Tim Johnson on drums. 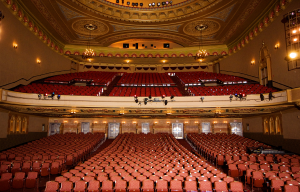 Together they play some of the best jazz and cabaret standards in West Michigan. Be prepared to dance! For more information, call 231-722-8000. Come to Kitchen 242 at the Muskegon Farmers’ Market for “Southern Classic Shrimp & Grits with Chef Jamie!” Chef Jamie grew up in Louisiana so who better can teach us the classic southern dishes of Shrimp & Grits. Learn what to pair with it to create a well-balanced meal. Bring your appetite and a container to go. This class is for older teens and adults and class size is limited to 15. The cost is $35. 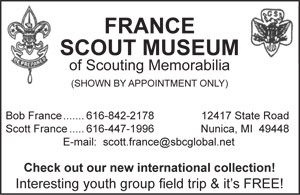 For more information call (231) 722-3251. Montague Bandshell, 8636 Water St.
Join the Arts Council of White Lake (ACWL) for the Free Summer Concert Finale “Shook Twins”. In case of inclement weather, concerts will be held at the Montague Area Public Schools Center for the Arts located at Montague High School. 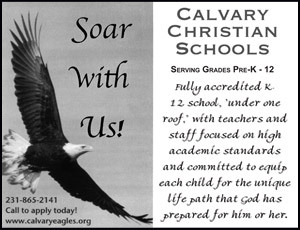 For more information, call 231-893-2524. McGraft Park, 2204 Wickham Dr.
Come to beautiful the McGraft Park Bandshell for the season finale family friendly concert. This concert is at 7:00pm. WEDNESDAY, August 23 – Blackthorn: Traditional Irish Music sponsored by the Michigan Irish Music Festival. For more information, call the Muskegon Parks Department at 231-724-6991. Cruise-Ins at Fricano Place are back every Wednesday (weather permitting) from 5:00-8:30pm. Antiques, customs, classics and novelty vehicles are all welcome. Enjoy oldies music and door prizes, too! Come on down and check out some unique cars and enjoy some Fricano’s pizza and Sweet Treats from Fricano’s Sweet Shoppe! For more information, call 231-722-7775. Visit the Hackley & Hume Historic Site for “Scandal! Illness, Lawsuits & Tragedy!” Participate in this illuminating interactive event as a juror in three Hackley and Hume related scandal cases! This 90 minute experience will reveal untold stories and truth about each family and their past. Due to adult themes and topics, this tour is NOT suitable for children. Space is limited. For more information or to register, call 231-724-5535. Heritage Landing, 1050 7th St. The museum ships Nina & Pinta return to the Port of Muskegon’s Heritage Landing Dock August 25-29, with tours conducted from 9:00am to 6:00pm each day. On Sunday, August 27, the Pearl Mist will join the sister ships at Heritage Landing during the Shoreline Jazz Festival! Don’t miss this exciting weekend in downtown Muskegon! The cost to tour the Nina & Pinta is $8 for adults, $7 for seniors 65+, $6 for kids 5-16, free for kids 4 and under. For more information, call (787) 672-2152. Roosevelt Park, 900 Oak Ridge Rd. Roosevelt Park Day will be held at locations throughout the Roosevelt Park community. There’ll be live music, a 5K run/walk race, a pancake breakfast at Westwood Reformed Church, a family bowling tournament at Sherman Bowling Center and a parade beginning at Glenside Blvd. and Broadway Ave. For more information contact Roosevelt Park City Hall at 231-755-3721. Join Maranatha Saturday at 7:00pm for a summer concert by Guy Penrod! All concerts are free and open to the public. For more information visit www.vacationwithpurpose.org or call (231) 798-2161. Join Muskegon Center for the Arts in a creative exchange of ideas, inspiration and camaraderie as you work on your own project or create a new one at the Red Lotus Gallery! “Creative Saturdays” are for ages 12 and up and are free to the public (donations are always welcome) For more information, find them on Facebook. The Red Lotus Gallery is located at 356 W. Western Ave. in downtown Muskegon in the Century Building’s basement. Beer, music, sand, Lake Michigan, bare feet, art, food – what could be better? The third annual Burning Foot Beer Festival will ignite Pere Marquette Park beach. Burning Foot is turning up the heat with 65 craft breweries from the Great Lakes region, live music, games and great friends. For more information, visit www.burningfoot.beer or check them out on Facebook. This entry was posted in Calendar of Events on August 24, 2017 by editor. On August 30, 2017 from 6:00 to 8:00p.m., The Gateway Church will be giving away FREE backpacks with school supplies to the first 500 kids (grades K-12). 1) Backpacks will be given out after a short presentation. 2) The child must be present. There will be free hotdogs, a bounce house, face painting, and balloons. For more information call (231) 799-2141. *OPTIONAL WALK-IN PRE-REGISTRATION: Monday, August 28th, 4:00 – 7:00 p.m.
Registrations WILL NOT be accepted by phone or electronically. Child does not need to be present for pre-registration. Governor Rick Snyder this month appointed Ottawa County Clerk/Register Justin Roebuck to the state’s Electronic Recording Commission. The Commission, formed in 2011 within the Michigan Department of Technology, Management, and Budget, is tasked with enforcing standards for the electronic recording of documents by county registers of deeds. Michigan law requires that public records are kept of all property sales and transfers so that there is a clear chain of title. Documents recorded must be original and signed in order to verify their legitimacy. State legislation in 2010 allowed for electronic documents and electronic signatures to be considered the same as the originals for recording purposes. The Electronic Recording Commission developed standards as the use of such documents expanded and continues to oversee those standards today. Members serve two-year terms. This entry was posted in Ottawa County on August 23, 2017 by editor. “It has been an honor and a privilege to work on behalf of the taxpayers of Muskegon County and Michigan to bring West Michigan values to Lansing. I successfully fought to provide hundreds of dollars in tax relief to families and seniors through the expansion of the Homestead Property Tax credit. That action alone put $200 million more in the pockets of state taxpayers”, said Holly Hughes. If elected to the State Senate, Hughes plans to continue her work on behalf of taxpayers, veterans, students and parents. 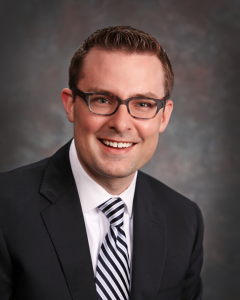 In 2012, Hughes helped organize the first jobs fair for veterans in Muskegon. The sixth annual Veterans Jobs Fair held earlier this year attracted 80 job providers and hundreds of attendees. In addition to her work on behalf of taxpayers and veterans, Representative Hughes has worked to make sure that area schools have the resources and tools necessary for students to succeed. She has worked tirelessly with the Muskegon Promise scholarship program, worked to ensure kids are safe on school busses and to ensure quality substitute teachers are available to fill our classrooms. The 34th State Senate district is comprised of the counties of Muskegon, Newaygo and Oceana. This entry was posted in News Releases on August 21, 2017 by editor. Crisis-trained chaplains with the Billy Graham Rapid Response Team have deployed to two flood zones within the month of July. On July 16, they responded to devastating flooding in the southeastern part of Wisconsin, where rising waters washed out roads in Kenosha, Racine and Walworth counties. The same heavy rainfall prompted another team of chaplains to deploy to Northeastern Illinois a few days later. For both deployments, Rapid Response Team chaplains are serving alongside Samaritan’s Purse, working together to bring the love and compassion of Jesus Christ to hurting residents. The Illinois deployment marks the third time the Rapid Response Team has responded to floods in 2017 and the seventh time this year the chaplains have responded in the wake of a natural disaster. Earlier this year, the team deployed after tornadoes sliced through Albany, Ga.; Durant, Miss. ; Forrest County, Miss. ; and New Orleans, La. Chaplains also ministered in Ripley County, Mo., after devastating flooding in May. This entry was posted in Billy Graham on August 20, 2017 by editor. Hello Dr. Universe: I was wondering, how does an eclipse happen? The places where the moon will cast its shadow is called the path of totality. If you’re in the path of totality during the total lunar eclipse, you’ll know it. The moon shines because it reflects light from the sun. But when Earth blocks the sun, the moon gets darker or even a little reddish. There will be a partial lunar eclipse on Aug. 7. You don’t need to protect your eyes when watching a lunar eclipse, but it’s super important to protect your eyes when viewing a solar eclipse. This entry was posted in Dr. Universe on August 19, 2017 by editor. The Ottawa County Agricultural Preservation Board is pleased to announce a new, Ad Hoc Young Adult position for the Board. This position is open to all high school and college students who are residents of Ottawa County. The Board oversees the Purchase of Development Rights (PDR) program. This is a voluntary program that preserves farmland by purchasing or receiving donations of development rights from actively farmed properties. The first farm preserved by the program was the Hehl Farm, a 34.9 acre hog and cattle farm in Polkton Township. This year the Board will close on a 55.6 acre cattle farm in Chester Township. Farmland preservation adds to our quality of life in West Michigan, providing access to a local food supply and employment. Applications for this non-voting position are currently being accepted. The term is for one year. This entry was posted in Ottawa County on August 16, 2017 by editor. MUSKEGON, MI – Tens of thousands of Muskegon residents and visitors from all over the U.S. attended the Lakeshore Art Festival in Downtown Muskegon this past weekend. Attendees raved about the variety of the activities and the overall quality of the show. Exhibitors were ecstatic about their exposure and sales! Multiple exhibitors commented that on Saturday they broke their all-time one day record sales. Over 110 exhibitors in the Fine Art and Fine Craft were juried by professional artist and Grand Valley State Art Professor, Renee Zettle-Sterling. Awards totaling $3,000 were presented to winners. The ‘Best in Show’ award was presented to Doyle Borntrager for his “Knarley Knot” wooden goods, second place was presented to Heather Miles for her abstract paintings, and third place went to Jonathan Kesler for his one-of-a-kind clay stoneware. Honorable Mention was awarded to Emre Tekeli for her hand made jewelry, and Committee’s Choice went to Charity Mendoza for her textured artwork. 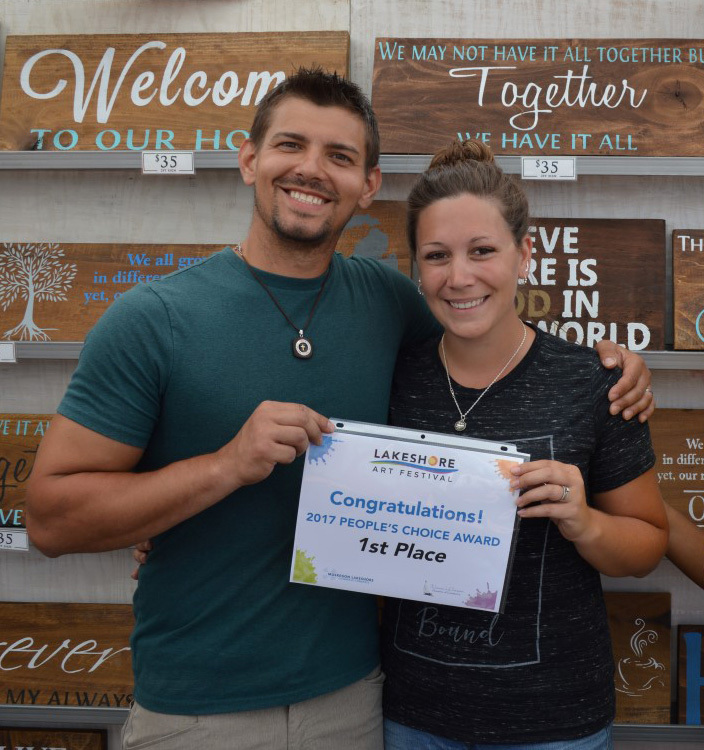 The public was also invited to chime in and vote for their favorite booth in the People’s Choice Award hosted by the Women’s Division Chamber of Commerce. First place went to Airika and Maxwell Kolenda for their hand made wood and home decor, second place went to Robert Knoll for his unique wooden furniture, and third place went to Dale McClain for his gourmet dip mixes. 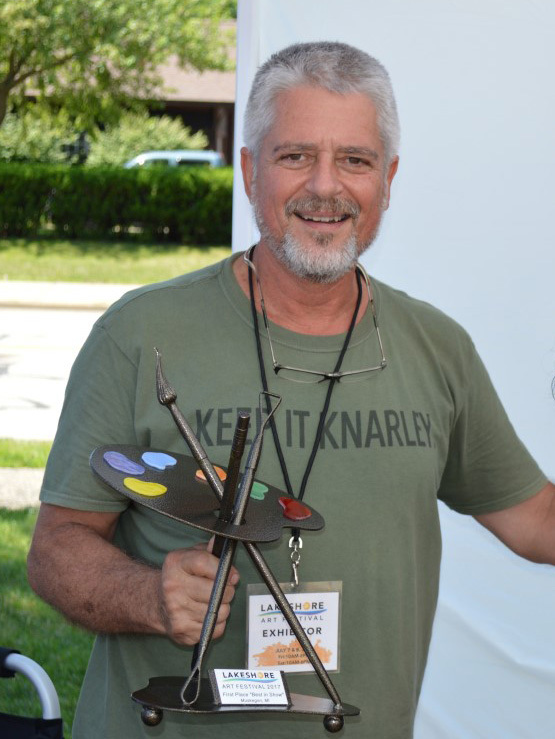 For decades, art has been a driving force in Downtown Muskegon, and Lakeshore Art Festival strives to continue that tradition. This year’s festival welcomed multiple live art experiences. TerraLynn Lake used chalk to create a larger than life replica of Edward Curtis’s Thunderbirds & Whales while Sarah Landstrom painted a vibrant kayak which was then sold at the festival. 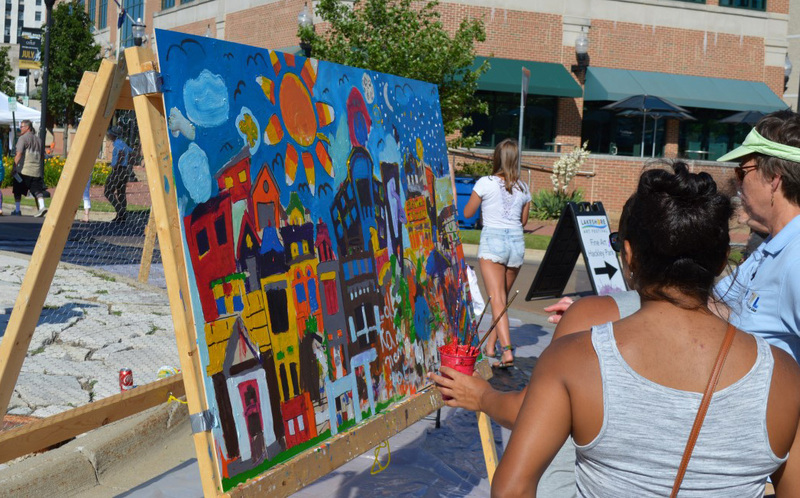 The Nuveen Center also hosted “Color Muskegon” where 8 large panels were painted by guests during the show and auctioned off during the festival. A few panels are still available for purchase. For more information on purchasing these one-of-a-kind panels contact nuveen@artswhitelake.org or call 231-893-2524. Newest additions to the festival this year were the Wine and Craft Beer Garden and Chalk the Walk. 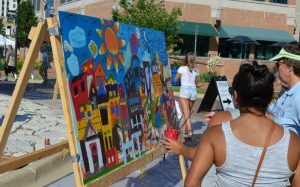 Attendees were able to sip and savor craft beer and wine while browsing the Fine Art in Hackley Park as well as create their own chalk art between the lines of nearly 300 sections of walkway down Western Ave. Chalk the Walk was hosted by Downtown Muskegon Now First Fridays. Both new activities were a huge success! 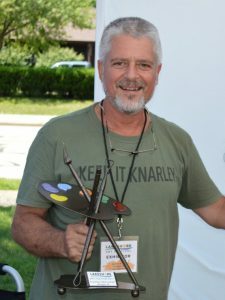 Lakeshore Art Festival is nationally ranked by Sunshine Artist Magazine 200 Best, and was voted Favorite Small Town Art Fair by artfaircalendar.com. Visit www.lakeshoreartfestival.org for more details. This entry was posted in News Releases on August 15, 2017 by editor. Come to beautiful the McGraft Park Bandshell for a series of free, family friendly concerts this summer! All concerts begin at 7:00pm. Tuesday, August 15 – Tom Pancy Band with modern jazz. 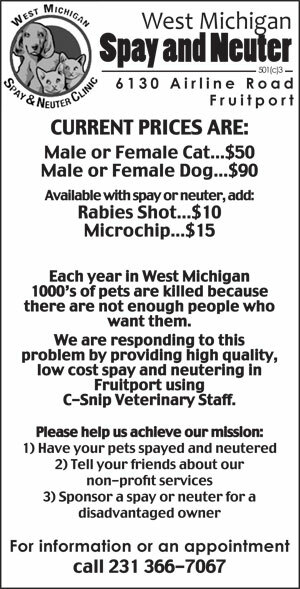 For more information, call the Muskegon Parks Department at 231-724-6991. Serene Yoga will be offering a new Summer Beach Yoga Series through August 31. Classes will be held Tuesdays and Thursday mornings from 10:00am – 11:00am and Friday evenings from 7:00pm – 8:00pm. $10 drop-in rate. This is a mind, body, spirit experience for the whole family. This class is a biblical based perspective. Meet at the beach. Participants should bring a towel, sheet or yoga mat. All new participants will be asked to fill out liability forms. Children under 17 need to be accompanied by a parent or guardian. Check with your doctor if you have any concerns prior to taking this class. For more information please contact Sereneyoga10@gmail.com or call 231-343-8381 (text for cancellation information). Bring the family and your appetite to the Muskegon Farmers’ Market for the big Food Truck Rally! Be sure to bring lawn chairs so you can relax and enjoy an evening of games and excellent food from your favorite vendors. For more information, call (231) 724-6777. Come to historic Hackley Park in downtown Muskegon for a FREE community event honoring our veterans! Enjoy resource booths, live music, health screenings, kids’ activities, and a free lunch! Lunch is limited to the first 1,000 attendees. For more information, call (231)332-3884. White River Light Station, 6199 Murray Rd. Visit the White River Light Station for Yoga at the Light! Bring your yoga mats or large towels and water to drink and join in for Yoga! The rain date is August 25. For further information call Mitch Coleman at White River Yoga at 231-740-6662. Visit the White River Light Station for Music at the Light: Oceania Drive Trio! Oceana Drive Trio (formerly known as Beech Grove Trio) performs acoustic Americana, Roots and Rock music. If you like music with grit and a soulful edge, then Oceana Drive Trio is sure to please. Come out for an evening of fresh musical perspective! For more information, call (231) 894-8265. Sunsets, sea breezes and superstars…they’re all on deck at USS LST 393 Veterans Museum for the popular “Movies on Deck,” on Muskegon’s downtown waterfront. The films are shown on LST 393’s huge screen on the top deck starting about 9:30pm. Enjoy this last movie of the season! For more information, call 231-730-1477. There is no charge to attend “Movies on Deck” screenings, although donations to help support the ship’s restoration. Moviegoers should bring their own chairs and weather-appropriate clothing. Popcorn, soda and snacks are available for sale. Join Lake Effect Boating as they celebrate the maritime wonders of Michigan! From great beaches and boating, to awesome restaurants, breweries, and community events, you won’t want to miss the fun. The Michigan Maritime Celebration, held August 18 -20 along the Shores of Muskegon, is maritime fun for everyone! 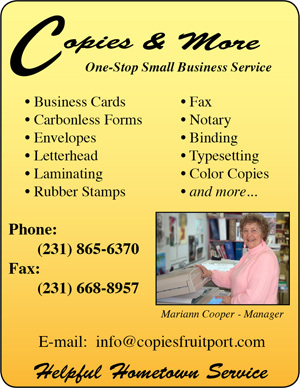 For more information, visit www.michiganmaritimecelebration.weebly.com. The last Movie on the Beach of the season, come to beautiful Pere Marquette Beach. The movie will start around dusk at Pere Marquette Park (plan to be there by 9:30pm). This month’s movie is “The Croods” (PG). This event is free and open to the public. Come on down early to climb to the top of the South Pierhead Lighthouse from 5:00-8:00pm for a small fee. Donations will be accepted (and are welcomed) in order to cover costs and raise funds for future movie nights. Bring a chair and picnic basket and enjoy! Harbour Towne Beach, 3315 Fulton Ave.
Join fellow paddlers in the Muskegon Channel for a Muskegon Area Community Paddle! If you have a paddle craft, whether it’s a kayak, standup paddle board, canoe or rowboat, you’re invited to put in at Muskegon’s Harbour Towne Beach for this free community event. Those without a paddle craft can rent a kayak from Guy’s Ultimate Kayak Service for only $5. Participants must have a U.S. Coast Guard approved personal floatation device. Meet at 8:00am and paddle from 8:30am-10:30am as you commune with fellow kayakers and explore Muskegon’s wonderful waterways. For more information, or to register or rent a kayak, call 231-740-0227. Come to the Montague Band Shell Saturday, August 19 from 4:00-8:00pm for the White Lake Area Sportfishing Association’s Annual Bill Gillan Salmon Fish Boil! For over 30yrs the WLASA club has perfected and served this wonderful Great Lakes traditional culinary meal to the public every August. You will receive a generous serving of fresh boiled Salmon, Potatoes & Onion, covered with pure melted butter and a delicious roll for a $10 donation. For more information, e-mail wlasa_whitehallmi@outlook.com. Muskegon Center for the Arts presents Open Mic Night at the Red Lotus Gallery, located in the Century Building. If you have a love for the stage and can perform an activity such as music, anything theatrical, poetry or readings, you may want to express it here or just show up to watch the show. There is always something new and unique to enjoy. This event happens on the third Saturday of every month and is for persons 18 years and older. This is a free event. For more information, call (231) 206-0426. Soulful Sudz / Pigeon Hill Brewing Co.
Sunday, August 20 at 11:00am, Muskegon Yoga and Pigeon Hill Brewery are teaming up to bring together two loved past times: yoga and beer drinking. Only $10 will get you a 1 hour Vinyasa yoga class (all levels welcome) and a level one beer. Bring your yoga mat and a friend, enjoy a yoga class, then refresh with a beer. Call 231-668-4181 for more information. Join Rootdown Yoga at the USS LST 393 Veterans Museum for “Yoga on Deck!” This popular, donation based yoga class is designed for all levels, so grab your family, friends, yoga mat and water and come join them for this popular event. No mat? No problem! You can rent one. Suggested donations are $5,(instead of cash this week they are collecting school supplies worth $5) Please check their Facebook page prior to the event in case of weather resulting in cancellation or class relocation. For more information, call (231) 722-9642. Come to Kitchen 242 at the Muskegon Farmers’ Market for “Sushi Night with Chef Damon!” Learn simple and easy sushi recipes with Chef Damon. Everyone can learn and enjoy the basic art of sushi making! You will have a hands on learning experience that will teach you how to spread, layer, tuck and roll sushi and then taste the fruits of your labor. Pair with some great wine. The cost is $40.00 and class size limited to 15. For more information call (231) 722-3251. Muskegon County Waste Management System, 8301 White Dr. The Muskegon Astronomical Society will have a Star Gazing Open House Monday, August 21 at 12:00pm (noon) to view the solar eclipse at their observatory. There is no charge. They will be viewing the night sky with telescopes. As you wait for night, you might get a tour of the facility or a presentation. They’ll introduce you to amateur astronomy and have plenty of handouts on how to get started. If an open house is cloudy, it’s cancelled. If weather conditions are questionable, call (231) 777-1013 to find out the status of a particular event. Come equipped! Flashlights can be helpful for finding your way around in the dark, but should be kept directed toward the ground so as not to interfere with observing activities. Insect repellent and warm clothing (particularly for feet, head and hands) are strongly encouraged during appropriate seasons. While the clubhouse has heat and A/C, the rest of the facility is open to the night air. Visit the Lakeshore Museum Center for a Solar Eclipse Viewing Party! There will be a short presentation leading up to the moment of the solar eclipse! Viewing glasses are available for only $1.00! For more information, call 231-724-5524. Come to Hackley Public Library for live music from the Mark Kahny Trio, consisting of Mark Kahny on keyboard, Mary Rademacher on vocals and rhythm instruments, and Tim Johnson on drums. Together they play some of the best jazz and cabaret standards in West Michigan. Both Mark and Mary are West Michigan Jazz Society Musicians of the Year. Be prepared to dance! For more information, call 231-722-8000. This entry was posted in Calendar of Events on August 14, 2017 by editor. July 12, 2017 – 5:00 p.m. I. The Board Workshop was called to order by President, Dave Hazekamp at 5:03 p.m.
II. Roll call was conducted by Secretary, Steve Kelly. Present – Brott, Buckner, Burgess, Cole, Franklin, Hazekamp, and Kelly. Superintendent, Bob Szymoniak gave updates about meeting with contractors to bring the pool up to safe usage. Bob gave different options for repairs. The Board consensus is to put an action item on the next Regular Board Meeting agenda requesting the district to go out for bids in the fall to fix the mechanical issues per the $180,000 estimate, plus adding a lift and updated lighting with a $5,000 contingency for an estimated total of $210,000. Discussion moved to buying 2 buses from Oakridge. This entry was posted in Fruitport Schools on August 14, 2017 by editor. 1. District goals were discussed and their identification and development will continue to be a work in progress. The Seclusion and Restraint policy was reviewed and will be submitted to the full Board for a second reading. An update on the athletic handbook was presented and will be on the upcoming Board agenda for approval. 4. A merit pay proposal for teachers and administrators was discussed. 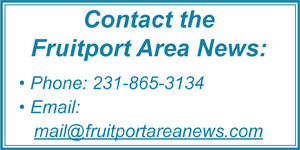 The particulars of a tentative agreement with the Fruitport Food Service/Transportation Association was discussed and supported for Board action. A proposal for merit pay for teachers and principals was discussed. Mark discussed the need for a couple of replacement buses for our fleet. Our current sub bus fleet is old and some of the buses will not pass inspection next year. Mark recommended purchasing two buses off of an expired lease for $55,000 per bus. The buses will be expensed in the General Fund and this committee will re-evaluate in January to see if we want to reallocate the expense. Bob and Mark discussed their ideas regarding merit pay. Mark explained the request from Pam Bergey to increase the Early Childhood Center daycare rates by $5.00 per week per child. This would generate approximately $320/week to cover the increase to labor and benefit costs. Meeting adjourned at 1:00 p.m.
Make memories at the Frauenthal Center. Our historic building and its beautiful facilities are the perfect backdrop to your special occasion. Whether celebrating commitment and love at your wedding or hosting an intimate gathering, we will help you and your guests enjoy a unique experience no one will soon forget. Accommodating groups of all sizes, our event managers will assist with everything from rentals and entertainment to catering and beverage service. Explore the wedding and special event venues of the Frauenthal Center. This entry was posted in News Releases on August 14, 2017 by editor. (MUSKEGON, MI) – As United Way of the Lakeshore staff prepare for “OPERATION UNITED” — the 2017 Day of Caring, volunteers are organizing tasks and duties aimed to refresh the yards and exteriors at fifteen local veteran homes. The veteran families are considered ALICE (Asset Limited, Income Constrained, Employed), meaning they struggle in meeting their basic needs. OPERATION UNITED Day of Caring also serves as the official launch of the United Way of the Lakeshore’s fundraising campaign, which over the past decade has raised more than $30 million from individuals. This funding has helped to leverage an additional $10 million in local dollars to invest in the human service needs of area children and families. 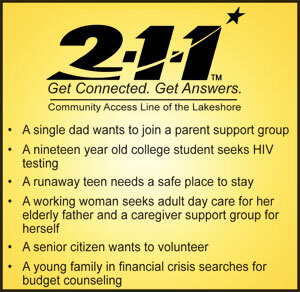 To Volunteer, please go to www.unitedwaylakeshore.org/volunteer or call Stephanie Stewart at (231)332-4006. • Approximately 300 volunteers from across Muskegon County through local government, schools, business, manufacturing, churches, hospitals, neighborhoods, nonprofit organizations, and more! • 15 Veterans/Military members have agreed to host caring teams to address a project at their home. • 20-30 team leaders have been trained to lead work at each site with knowledge and skills to complete the necessary tasks. • Other service projects include: Landscaping and bridge repair at United Way of the Lakeshore, packing in-home energy saving kits from DTE Energy and repacking school supplies for ‘Kits for Classrooms’. This entry was posted in News Releases on August 12, 2017 by editor. Join Lakeshore Clubhouse for our 3rd Annual Running for Recovery 5K, August 26 at 9:00am. Registration begins at 8:30am. This year’s event will be officially timed by Michiana Timing Company and will begin at 490 Century Lane in Holland, MI. You can register online by clicking HERE. The fee is only $20 per participant or $75 for a family of 4 or more! Although nearly one-in-five people will be affected by serious mental illness this year, misunderstanding and stigma still abound. Eighty-five to ninety-five percent of adults with serious mental illness are chronically unemployed, and traditional treatment continues to focus on maintenance instead of recovery. The Lakeshore Clubhouse is a Clubhouse International accredited program with the singular mission of assisting people in their recovery from mental illness and reintegration into the community. Join us on August 26 for our 3rd Annual Running for Recovery 5K and help make a difference in the lives of Ottawa County residents living with mental illness! This entry was posted in Ottawa County on August 12, 2017 by editor. 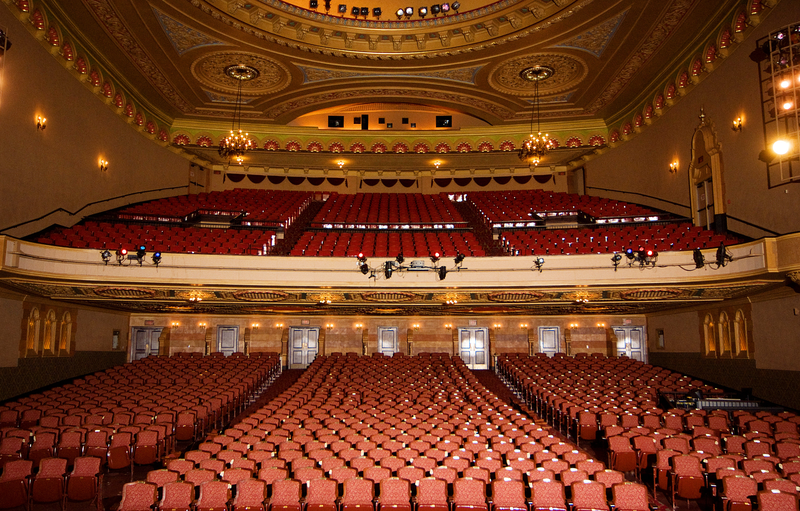 Join us for a historic tour of the Frauenthal Theater including the Mighty Barton Organ! These FREE tours will be held at 3pm on August 10th and August 24th. This entry was posted in Fruitport Township on August 12, 2017 by editor. Dear Dr. Universe: What causes lightning? Why is lightning attracted to metal objects? –Grant, 11, Pullman, Wash. While you are probably not in the middle of an electrical storm right now, there are more than 1,000 happening at any given moment on our planet. They happen on Saturn, Venus, and Jupiter, too. These big, grey storms we see on Earth give us the chance to see electrical charges in action, said my friend Nic Loyd, a meteorologist at Washington State University. Pretty much everything has a charge. You have a charge. I have a charge. These charges interact with each other. Founding Father and inventor Ben Franklin, who was really curious about lightning, is credited with giving these charges names: negative and positive. They work kind of like the different ends of a magnet. Two charges that are the same will move away from each other. But put a negative and positive charge near each other and they are like best buds. Opposite charges attract. Of course, even though we have charges, we aren’t walking around repelling and attracting different objects. Most of the time, objects have both positive and negative charges. They cancel each other out, leaving a neutral charge. But sometimes, these charges are out of balance. Lightning is one way nature balances out these charges on our planet. Loyd told me about the ingredients. As the sun heats the earth’s surface, the air above it warms up, too. Warm air rises. As the air rises, very tiny droplets of water, or vapor, rise up and form into a cloud. Air continues to rise and the cloud gets bigger and bigger. At the top of the cloud the temperature is really cold. The tiny droplets of water there turn into ice. One idea is that bits of ice bump into each other to create electrical charge. Exactly how they do this is still a bit of a mystery. But when these charges in the sky interact with opposite charges on the ground, current runs between them and we see a bright flash of lightning. Lightning can happen within a cloud or it can happen between the cloud and the ground. It all depends on how these charges are jumping around. Now, for a final lightning round of answers to the remaining questions. It turns out metal doesn’t necessarily attract lightning. But it is a good conductor of electricity. That means electricity can easily flow through it. Lighting will take the shortest path possible. Water can also be a good conductor. That’s why it’s important to stay away from water when there’s an electrical storm. Most of the electricity flows along the top of the water. A fish’s fate may depend on how close to the surface it swims. Finally, thunderstorms happen more often in spring and summer, as the ingredients—especially warm air– are more likely to exist. Now that you know more about the electrical charge we can see in the sky, what about the sound we hear at or near the same time? What causes thunder? Send your idea to Dr.Universe@wsu.edu. This entry was posted in Dr. Universe on August 12, 2017 by editor. MUSKEGON, MI 6/16/2017 – Boys & Girls Club of the Muskegon Lakeshore received an Honor Award for Overall Program Excellence at Boys & Girls Clubs of America’s 111th National Conference held recently in Dallas. The organization received a $5,000 award from MetLife Foundation, sponsor of the annual recognition program, which honors local Clubs for innovative, effective programming leading youth to great futures. This entry was posted in News Releases on August 9, 2017 by editor. White Lake Area, Colby St.
From August 3 to 13, this year’s White Lake Chamber Music Festival will present exceptional performances and events held throughout the White Lake area of Montague and Whitehall. Concerts given by the legendary Avalon String Quartet will, again, be among the many highlights. For a schedule of this year’s delightful Festival’s events, please visit whitelakechambermusicfestival.com or call 231-329-3056 for more information. Tuesday, August 8 at 6:30pm, come Kitchen 242 at the Muskegon Farmers’ Market for “Everything Blueberries with Chef Jamie!” This class will focus on local blueberries from appetizers, sauces, main course dressing and desserts! Blueberries are very versatile and Michigan blueberry growers produce more than 100 million pounds of them annually. Class size is limited to 15. The cost is $35. For more information, call (231) 722-3251. August 9-12, come to Heritage Landing for the biggest Christian music festival in Michigan! There’ll be three stages featuring more than 45 acts playing continuously during this four night three-day family friendly festival. Plenty of family activities fill the day and evening as well. For more information visit www.unitymusicfestival.com. The Norton Shores Library presents “Totally Eclipsed” For the first time in nearly 100 years, a solar eclipse will sweep across the entire continental U.S. on Monday, August 21, 2017. It is a once-in-a-lifetime opportunity for most sky watchers. Dr. Michael Galvin of the Muskegon Astronomical Society shares all you need to know about eclipses, including what they are, where to best view them and how to be safe while watching. The Library will also have free solar eclipse viewing glasses from the Space Science Institute available for program attendees to take with them. This program is free and open to ages 14 and up, with registration required. For additional information, contact Alison Purgiel, lead librarian, at 231-780-8844 or apurgiel@madl.org. The 9th annual Northside Family Fun Fest will take place at Walker Park in North Muskegon from August 10-12 at Walker Park in North Muskegon! This event will feature a parade car show art fair, book sale, fireworks, beer and wine garden and “Taste of the Northside”. The arts & crafts fair will be Saturday only. For more information visit www.cityofnorthmuskegon.com. Come to beautiful the McGraft Park Bandshell for a series of free, family friendly concerts this summer! All concerts begin at 7:00pm. Thursday, August 10 – Westside Soul Surfers (jazz, R & B, rock. 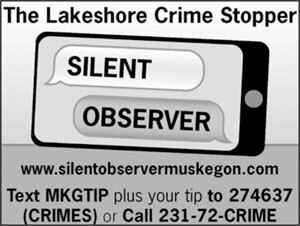 For more information, call the Muskegon Parks Department at 231-724-6991. Muskegon County Convention & Visitors Bureau, 610 W. Western Ave. The Hey 5K Run/Walk is happening August 12 at 8:00am and begins at the historic Union Depot located at 610 W. Western Ave. Early registration is at the Depot on August 11 from 3:00pm-5:00pm. Bring your family and friends for this fun Run/Walk and enjoy the sites of historic Downtown Muskegon while supporting the family friendly non-profit radio station 88.9FM. Family and group rates are available for this race. Everyone is welcome! For more information visit www.heyradio.com/hey5k. Bring the whole family for a Super Saturday featuring Native American storytelling! This free family fun day exploring the culture of Michigan Native Peoples is in conjunction with Edward S. Curtis: The North American Indian exhibit and is a joint program with Lakeshore Museum Center. Explore Native stories as well as how Curtis’ work sought to preserve and capture those traditions in his images and audio recordings. For more information, call 231-720-2570. The Muskegon Astronomical Society is a 501(C3) non-profit organization whose primary purpose is to enjoy and promote amateur astronomy. The activities of the society give amateur astronomers opportunities to meet and share experiences with others interested in amateur astronomy. If weather conditions are questionable, call (231) 777-1013 to find out the status of a particular event. Muskegon Heritage Museum, 561 W. Western Ave.
Visit the Muskegon Heritage Museum for “Print It,” a hands-on demonstration of printing techniques. For more information, call 231-722-1363. This entry was posted in Calendar of Events on August 7, 2017 by editor. 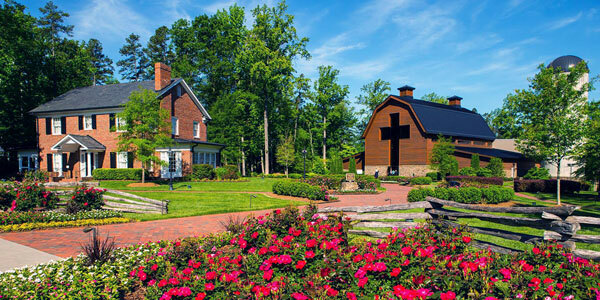 Since opening in 2007, the Billy Graham Library in Charlotte, N.C., has welcomed more than 1.1 million visitors from all 50 U.S. states and 90 countries around the world. This month marks the 10th anniversary of the Library. The Library was dedicated in a special ceremony one week before the opening. On May 31, 2007, more than 1,000 people, including three former U.S. Presidents and many dignitaries, attended the ceremony in honor of the impact Billy Graham and his ministries have made around the world. Ten years later, the Billy Graham Library is poised to continue to represent the story of how God worked through Billy Graham to share the Gospel around the world. For more information on the Library as well as ministry highlights from the past decade, visit www.billygrahamlibrary.org/10years. This entry was posted in Billy Graham on August 6, 2017 by editor. Even deeper in our planet is the core. It’s made up of metals, like nickel and iron. In fact, at the center of Earth there may be a ball of solid nickel and iron. It’s a solid because of the intense pressure there. But the outer part of the core is under less pressure, so it’s likely more fluid. You may have heard that Earth is like one big magnet. It’s the reason why our compasses point north. Scientists think that as Earth’s fluid interior swirls around with the spin of Earth, it helps generate the planet’s magnetic field. Earth’s magnetism is also part of the reason we have the Northern Lights. When particles from the sun strike particles in our atmosphere near the Earth’s magnetic field, it can create colorful displays. While we can see some of the ways deep earth shapes our planet, we can’t actually look inside it. The deepest scientists have ever explored is about 5 miles into the Earth. Since we can’t slice up a planet, scientists use different measurements to figure out what’s going on. One way they do this is to look at waves that earthquakes produce. Scientists can use seismometers, machines to measure the shaking of the ground, to help measure the waves. Some of these waves only move through solids, like the inner core. Others move through solids and liquids, like the outer core and mantle. They can use this information from the wave measurements to put together a better picture of the planet’s composition. Other rocky planets—Mercury, Mars, and Venus—likely have similar interiors to Earth’s. It appears Mercury has the biggest core, at least compared to its size. Then there are the giant gas planets: Neptune, Saturn, Jupiter and Uranus. Air is one gas we all know. We breathe it. Planes zip through it. Each of these planets in the outer solar system is surrounded by different gases. We couldn’t stand on them. If we did travel through the center of a gas giant, we would probably find something pretty familiar to our own rocky planet on the inside. Ask Dr. Universe is a science-education project from Washington State University. Submit your own science question at askDrUniverse.wsu.edu/ask. This entry was posted in Dr. Universe on August 5, 2017 by editor.